When you are travelling in this part of the world – Southeast Asia, you’re more likely going to cross four countries; Thailand, Cambodia, Vietnam, and Laos. I didn’t do this trail last year, I’m not sure why! I ended up leaving without seeing Cambodia, now that I had the chance, I grabbed it and booked a bus ticket from Bangkok to Siem Reap. Crossing the border between Thailand and Cambodia was a piece of cake, it was fast and easy unless you decide to dance and drink in Khaosan Road until 3 in the morning. Don’t do it. I did it and it was horrible the next day when I needed to take this bus to Siem Reap. If you haven't found a hostel yet, check out this list of hostels in Cambodia that I personally stayed at. If you are staying in Siem Reap for a while, you may want to check out the swimming pools in Siem Reap. If you need help in budgeting, check out this Southeast Asia travel budget which I thoroughly wrote. I also have backpacking in Southeast Asia guide and Southeast Asia travel route post. The main bus station is in Mo Chit, which is 10 kms from the city centre of Bangkok. We all know that it’s always cheaper to book your bus directly from the bus station, however giving the fact that the bus station is located outside the city centre, it might be cheaper to book your bus online or find the best travel agency. You can also take your chances and arrive as early as you can to buy your ticket on the same day you earn to travel. But this is risky as you never know if the bus has space or not. 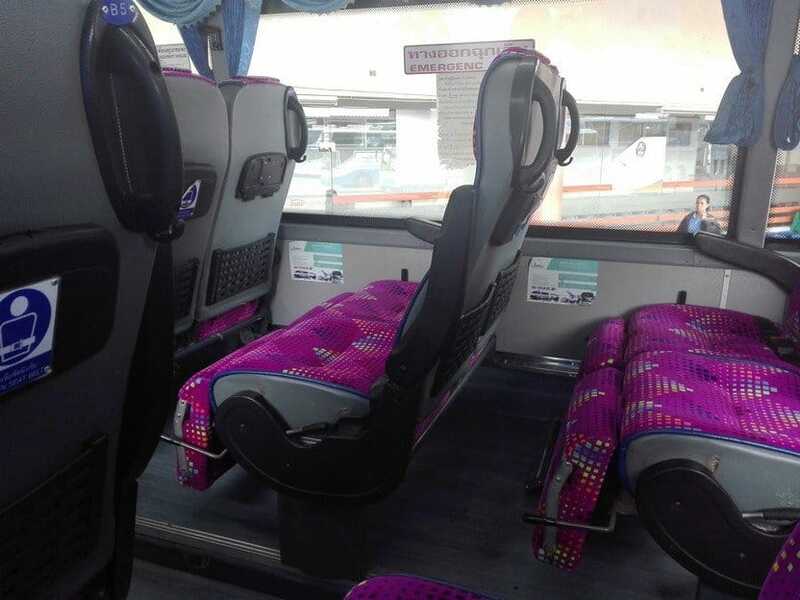 The bus ride is about 9 hours and the bus ticket should cost about 750 baht directly from the bus station, 1100 baht through a travel agency or your hostel/hotel and 950 through online which I did. You have the option to get a bus from Bangkok to the border or Bangkok to Siem Reap. Surprisingly, Bangkok has a great metro system. It’s cheap and reliable. From Silom, I took a metro to Mo Chit (42 baht) from the metro station, I took a motorbike taxi to the bus station (40 baht). Remember to arrive 30 minutes before your bus leaves as this bus station is quite busy. That tiny blue sign says "Immigration Passport Control"
About 13.00, I got off the bus and head to the border control of Thailand to get my exit stamp. The whole border is a chaos and under construction, don’t panic if you get confused and lost. Just ask anyone where can you get the stamp and they’ll point you in the right direction or better just keep going straight, no turns. Only 7 countries are visa-free in Cambodia, if you’re not on the list, you can get a visa on arrival for a fee of $30, make sure you have a passport photo with you as well. 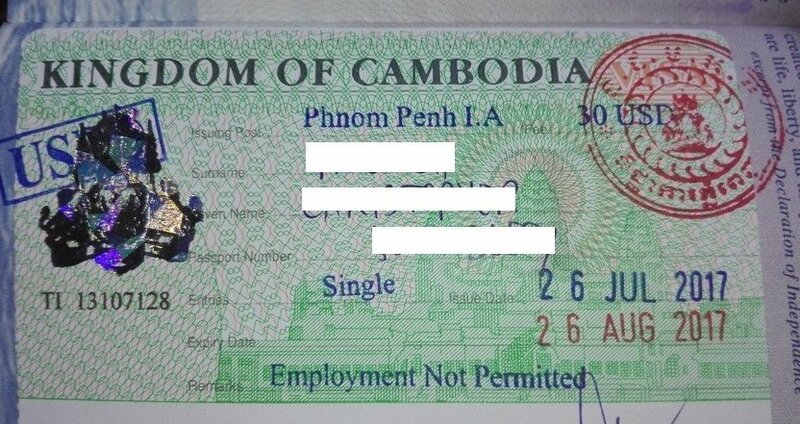 Here’s a visa guide for Cambodia for all nationalities. After getting your exit stamp from Thailand, walk about a kilometre to the entry point of Cambodia. Prepare your visa fee and a passport photo. The border is open between 07:30 - 20.00 (7.30 am to 10 pm). 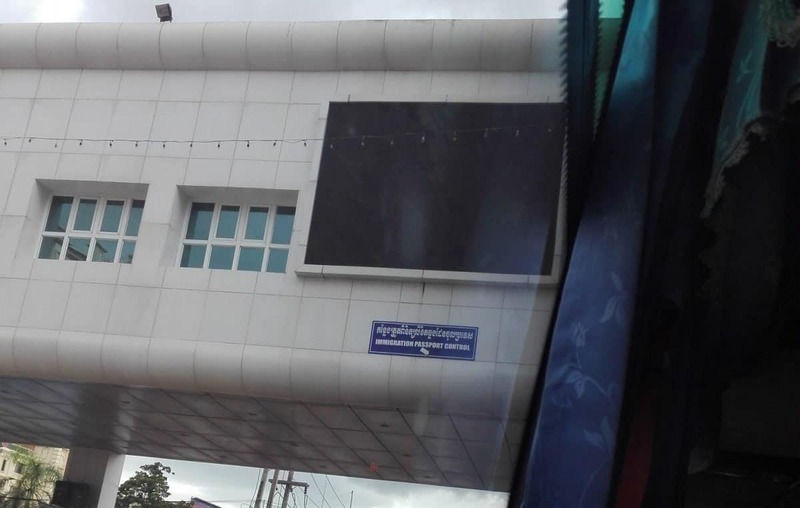 Be aware of the scam in the land border of Thailand and Cambodia, it has been proven that some people have been scammed by someone as they cross this border. I highly suggest you get your evisa before you arrive to avoid being a victim of the scam. One example of the scam is when you supposed to pay $30 for the visa, but then you will be asked to pay another $10. Another story is when you already arranged your e-visa beforehand, someone will ask you to pay extra money without explaining what it is for. It’s hard to say to only deal with an official at the border since some travellers claimed that even the officials are running the show as well. Just keep your passport with you and don’t hand it to anyone unless you’re about to get your stamp/visa. After you get your entry stamp, jump back to your bus for another 4-hour drive to Siem Reap. The journey is pretty nice, passing through farms and seeing how the locals at the countryside live their life is interesting. In my opinion, I think Cambodia is one of the poorest yet top destination country in Southeast Asia. The roads are undeveloped as soon as you leave the city. Siem Reap itself is covered in mud when the rain starts to pour. It was about 18.30 when we reached the office of the bus company, they provided free service to drop us off at our accommodations. So, that’s it! The border crossing between Thailand and Cambodia is pretty straightforward and easy. 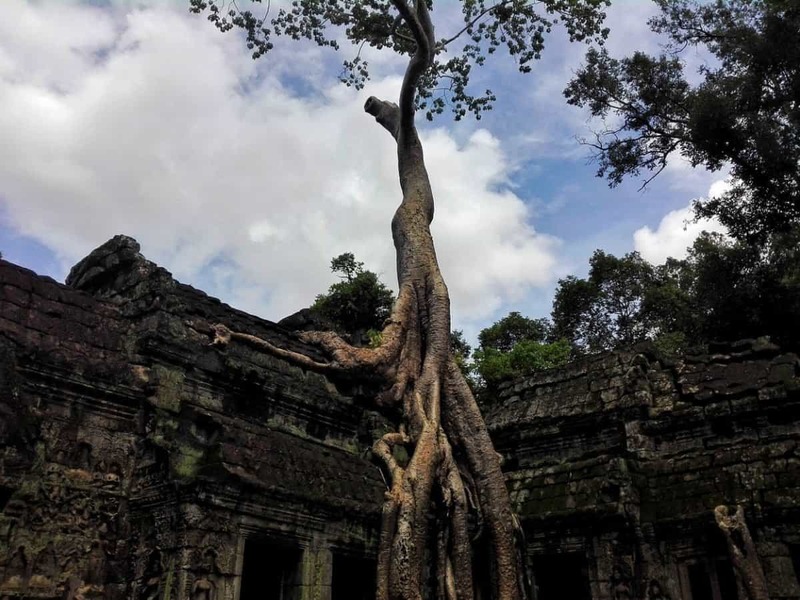 From Siem Reap, a lot of backpackers head to Battambang, Phnom Penh, Kampot, Sihanoukville and Koh Rong. Check the map and plan out where you want to head next. Check this border crossing guide, it will show you the options of how to get from Phnom Penh to Ho chi Minh city. If you have any question regarding Thailand Cambodia border crossing, don’t hesitate to reach out to me through the comment section below.